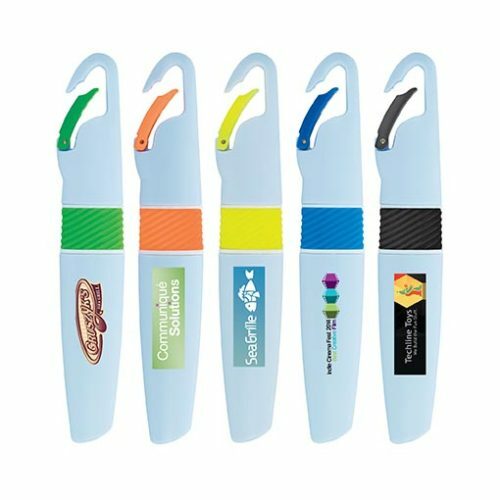 Keep your highlighter handy, with the bright carabiner highlighter. Perfect to clip onto the school backpack or briefcase. Ink colour matches trim colour except black which contains yellow ink.